In this topic you learn how to climb Damavand and find the best instructions to organize and manage your plan to Mount Damavand Iran. Also increase your chance of success and enjoy a safe trek to Damawand summit. This guidance is ideal for ordinary mountaineers with ordinary climbing skills and common gears. 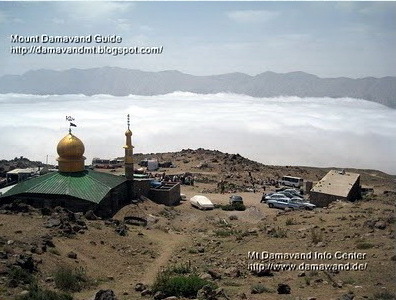 Read also How to Climb Damavand FAQ. The beginners are highly advised to trek Damavand in summer season and suitable weather condition, ie after mid June up to mid September, where there is little snow on the mountain and the weather is relatively mild. Day 1: Arrive into Tehran. Transfer to a hotel in Tehran. Overnight hotel. Day 2: Transfer from Tehran hotel to first Damavand campsite. O/N C1 hut/local house/tent. Day 3: Transfer and trek to third campsite. O/N C3 shelter/hut/tent. Day 4: Acclimatization day, go to higher than camp 3. O/N C3 refuge/hut/tent. Day 5: Trek to Damavand summit and descent back to the camp 3. O/N C3 shelter/hut/tent. Day 6: Descent to camp 2 and transfer to camp 1 and then Tehran. O/N hotel. Day 7: Reserved day for bad weather or more acclimatization. O/N C1/C3/hotel. There are different Itineraries for trekking Mt. Damavand Iran. Here we have choosen and explained a simple and the favorite one. You can make some modifications to this program to best suite your time and plan. This five days favorite Damavand Itinerary is ideal for newcomers, ordinary climbers and foreign mountain tourist who intend to challenge the mountain from the south route. After finishing your program, you may have some spared time to go to Abe Garm Larijan thermal hot spring too. Arrive into IKA Airport in Tehran. Transfer by taxi to your hotel in Tehran. Overnight hotel. It is quite usual in Iranl to use airport taxi. Yellow or green cabs identified by written words in English on the body "Airport Taxi", all have a fixed official price rate in Rials for Tehran area regardless of distance and destination in Tehran. For more information just refer to offical taxi info desk at airpot and ask for the taxi price. Also if you book your hotel in Tehran in advance some hotels may include the transfer from IKA Airport to Tehran in their services. Due to little road traffic and less crowd in the shelters, refuges and huts, Saturday is the best starting day. It is not a good idea to start in Iranian weekends (Thursday, Friday) and Persian holidays. Read more in Crowd and Iran Holidays. Depending to your arrival time, in the beginning of your trip to Iran on the first day, you may travel by car from your hotel in Tehran to Damawand first campsite and the starting point of the mountain called Polour Resort which is located in Polour Village on Haraz Road in Mazandaran Province. Just enjoy the rest of the day, no climbing or hard exercise. Overnight at Polour Hut. Unfortunately at the moment there is not a clear reservation system for Damavand Campsites. Already Iran Mountain Federation has stopped the former booking system and has made a new registration for their members only (friends and families)! Visit also Booking Damavand Camps. Book all your transportation in advance at Polour Resort, for example car to take you to C2 and back to C1. 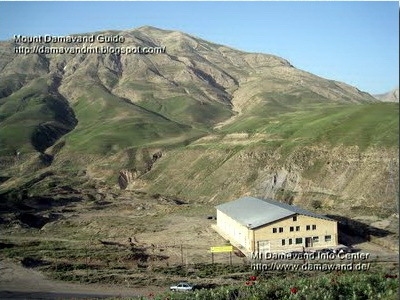 Visit Damavand Accommodation FAQ. Check your personal equipments. Do not carry heavy stuff to camp 3, you can leave your extra gears at a safe place at C1. Visit Damavand Equipment List. Transfer by car from IKA Airport or Tehran Hotel> Haraz Road> Polor Village> Camp 1 Polour. In ordinary traffic hours, the journey may take about 1.5 hour from Tehran or 2 hours from IKA. Make sure that your taxi driver knows your exact destination. Amoung the taxi drivers always there is a misunderstanding between Damavand Mountain and Damavand City! Remind them you want to go to Polour Village and Damavand Mountain and not to Damavand City! Polour Resort is a shortcut and the best starting point for Damavand west and south routes. It is suitable place for acclimatization and a good idea to be away from pollution of Tehran. Read more inthe related topics: Damavand Camp1 Polour Hut. Damavand Camp1 Polour FAQ. In summer season camp 2 or base camp (also called Goosfand-Sara or mosque) is the starting point of Damavand Iran south route because off-road cars like Jeeps, land rovers and small trucks can reach this campsite. As soon as you reach the second camp it is better to start your trek and leave the area (read also the warning notes). By 4 to 5 hours slow and steady walk go to the third campsite. Follow the footprints. In a good visibility and suitable weather it is easy to find the trails. If you start your trek in the morning you have enough time to reach the third campsite in time and use the rest of the day for acclimatization at 4220 meters above sea level. Overnight Camp 3 tent, shelter or /new hut. This area is located at 3050 m. It is also called Goosfand Sara or Saheb Zaman Mosque. There is an old shelter, a sheepfold and a mosque in this campsite. Read more about Damavand Camp 2 Base and Damawand Camp 2 Base FAQ. Camp 3 is called Bargah Sevom it is located at 4220m. There is an old refuge and a new hut in this area. Read more about Camp 3 Bargah Sevom, Common Mistakes, Damavand Camp 3 Shelter FAQ. Check your personal equipments. Visit Damavand Equipment List. Do not carry heavy stuff, you can leave your extra things at a safe place in the first camp. Lunch box, mountain food, some sweet, chocolate, biscuit and 1.5 litters water. On Day 2 book your transportation in advance at Polour Resort to take you to C2, and back to C1. Ask the manager of campsites to book your place at Camp 3 if possible. From Polour Resort transfer by car to Camp 2 Base and Trek to Camp 3 Bargah Sevom. It takes about an hour to reach Camp 2 by car and about 4-5 hours walk to camp 3. Read notes about camp 2 carefully in Warning. Due to summer Crowd and some other problems Camp 2 is not recommended for tenting, camping acclimatization or accommodation any more. Cars reaching the area make a lot of noise pollution in summer. A big sheepfold is located in the area, sheeps, horses and mules making it too dirty and unpleasant place. It is better to leave the area as soon as you get there. You can find horse/mule and porter here, but if you intend to use them be careful about the pricing, damaging your bagback or missing your equipments! The mule men are not reliable guys to be on time! It is a preparation day for the giant Damavand volcano! Your target is to get to about 4800 meters. You are not here to challenge any world record or to break any world speed! You are here for acclimatization so take it easy and go slowly. No need to start early morning and it is not necessary to go higher and make yourself or your team exhausted. Save your energy for the next day. Allow plenty of rest after your hike. Go to bed early! Overnight at Camp3 New Hut. Booking Damavand Camp3 Hut FAQ. Read more about Camp3 New Hut, Common Mistakes. Double check your personal equipments for the summit push. Do not carry heavy stuff to the peak, you may leave your extra things at a safe place in Camp 3 New Hut or your tent. In summer you may also find tent, sleeping bag, mattress, some food, drinking watre, some drinks at Camp 3 Bargah New hut. South route has a mild climbing slope and not difficult in technical terms. But physically you must be fit enough to try it. Visit Difficulty. Overnight at Camp 3 New Hut. Wake up early at about 4 am and have a good breakfast, drink two or three cups of tea or coffee. Check the weather forecast. Kick off at about 5 AM. During the ascend take short breaks each hour. Do not rest more than 5 minutes per rest. Follow the proper foot tracks, if you are not sure use a reliable guide. During the way and at any break drink some water, eat some sweet or chocolate and biscuit. You need at least 1.5 letters of water for Damawand summit day. Depending to your physical fitness it takes 5 to 7 hours to reach the top. After reaching the summit do not stay too long there, take few photos and return back the to camp3. There is a better way for descend, small loose rocks way called Scree Trail, in Farsi called Shen-Ski trail, see GPS Track and Maps. It takes about 3 hours to descend from summit to camp 3 by this trail. Overnight at Camp 3 New Hut. Do not carry heavy stuff to the top. Visit Damavand Equipment List. Only take the necessary equipments. It is safe to leave your extra heavy gears at New Hut or your tent. Do not forget your gears when returning to C2 and C1. It is quite common to forget about some gears because of tiredness! Lunch box, mountain food, some sweet, chocolate, biscuit and water. Do not ascend Damavand at night. See the important note in Common Mistakes. Starting from C3 at 5 am is quite logical in a good weather. It gives you enough time to return back in time to C3 or even go the first camp and Tehran on the same day! Remember Camp3 Bargah is the highest campsite on the south route and from C3 upwards there is no more shelter/refuge, water or food. Read more in related topics Camp3 New Hut, Common Mistakes, Danger Zone. Important Notes for the Summit Day! There has been a wrong believe for years (also exist in present) which insist that you should ascend the last part of Mt Damavand only at night and because of sulfur gas near the summit creater it is the only possible way! It suggests to start climbing from Camp 3 to the summit at midnight to reach the volcanic area early morning because of less sulfur gas. We (members of 100 Damavand club) believe it is a quite wrong way to challenge Damawand and strongly advice you never start at night and use the day lights only. In summer season the best starting time start from c3 to the summit is 5 to 6 am. After one night rest at Bargah Sevom, return back to camp 2, drive to camp 1. You have some spare time to go to Thermal Spring which is located in Abe Garm Larijan Town. There are public spa baths with small pools filled with mineral hot water, enjoy yourself and forget about all the exhaustion of your climb. Return back to your Hotel in Tehran. Program ends. Overnight at a hotel in Tehran. On Day 2 book your transportation in advance at Polour Resort, to take you from C2 to C1 on Day 6 and back to Tehran. Read more in related topics Hotel, Thermal Spring. To be on the safe side it is a good idea to have some reserved days . O/N C1/C3/hotel. By focusing our tours on Mt Damawand Iran, we've been able to concentrate our experience to give you the best chance of success. We are specialist in Damavand Tours and take many foreign teams and individual climbers to the summit each year. We have been mountaineering for over 30 years and guiding for 20 years. Our guides are guarantee of safety and quality days in the mountains. See also Damavand Vip Tour. Our mountain guides are senior and the most experienced ones in Iran. Some have climed more than 100 times to the Mt Damawand summit and are the members of 100 Damavand Club. Others are memmbers of Iran Mountain Federation. Join us for the safest and most reliable hiking & trekking, mountaineering winter climb, ski mountaineering guided tours. We organize a wide range of high quality tours to Mt Damavand and other Iranian mountains for hiking trekking climbing, ski mountaineering and snowboarding. We are experienced mountain tour guides and many mountaineering groups, individuals and tour agencies use our guiding support each year. Just let us know some more info about your required tour, itinerary, timing and the exact logistic you need so we would support your team with the best possible Services for climbing and ski on Iran Mountains. There are a numerous thermal springs and spa with therapeutic qualities in Iran. The most important of these thermal springs are located around Volcanoes Damavand and Sabalan. These mineral hot water are equiped with public spa baths and small pools for public use and are useful in the treatment of skin diseases. - Ardebil hot springs body spa. - Dehloran thermal hot water. - Meshkinshar, mineral hot spring water. - Nayer thermal spring spa. - Qotor Soei hot spring, outdoor spa. - Shabil natural thermal springs. - Sarab minral hot water, spa treatment. - Sarein hot spring, natural thermal springs. - Shabil therma spa, spa care resort springs. - Shahan garmab mineral hot water. Iran is the homeland of a world's great empires, and one of the most advanced civilization in the world in ancient times, with more than 10000 years of history and historical sites dating back to over 8000 years ago.It is the home of history and calture, the Achaemenid and the Sasanian Persian Empire. With several world heritage sites and excellent museums, many palaces, temples, residential buildings, gardens and architectural zones to help bring its rich past alive. A good trip for the history lovers. Visit Persia's magnificent rich culture and historic sites of an ancient civilization, historical Iranian tourist attraction registered in the UNESCO List. - Anahita Temple Bishabour, Kazeroon. - Meidan e Shah esfahan. - Naseroldin Shah Palace, Sharestanak. - Takht e Soleyman Kermanshah. - Zigorat Choghazanbil, Tchogha Zabnil Khosestan. Meet nomads tribes migration, moving on the mountains from one place to new homeland with their cattle, experience living with Iranian nomads. If you are planning a visit Iran for nomads tours, then this is the right website to use to get all the info you need to enjoy your holiday. - Qashqaei, Ghashghaei Nomads, Fars and Isfahan Provice. - Bakhtiari,Bakhtiyari, Kohgiloyeh va Boyer Ahmad and Charmahal Bakhtiyari Province. - Kurd, Kord, Kermanshah and kurdestan province. - Shah Savan, Azarbaijan and Ardabil Province. - Turkman, Torkman, Golestan Province. - Nomadic outdoor tourism activity, outdoor recreation Iran. Mt Damavand Guide, Damavand Forum, Iran Natur. Nützliche Informationen, wie Sie den Berg Damavand in der Sommersaison besteigen können. Ausführliche Informationen zum Wandern von Damavand Iran. Die effektivste Technik, um Damavand zu besteigen. Leitfaden für Kletter- und Trekkingtouren im Jahr 2020. Geführte Bergwanderungen in die Berggebiete des Iran 2019. Anleitung zum Klettern, Skitourengehen und Snowboarden Damavand. Iran Mount Organisation und Klettergebiete. Wintersport, Winteraufstieg und Skitouren Teheran. 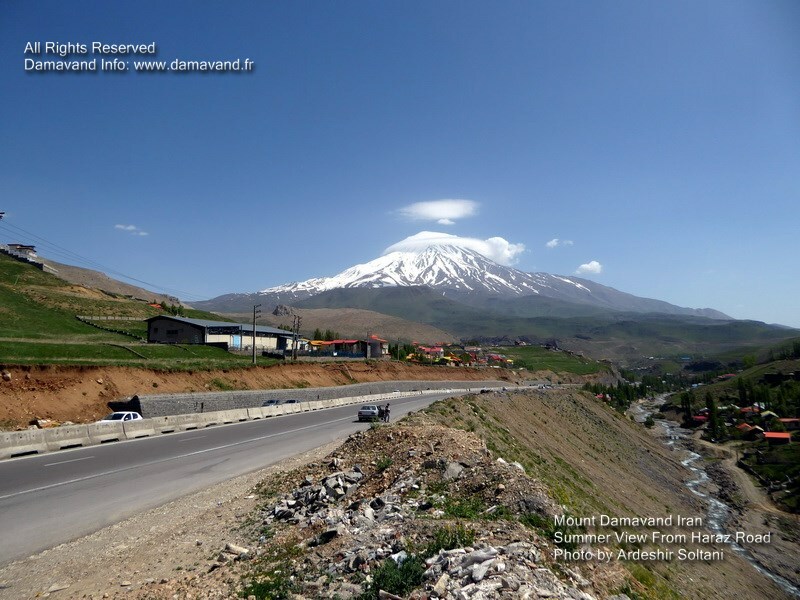 Damavand Sommersaison Wander- und Trekkingtouren. Expeditionstouren in die Berge Alborz und Zagros. Ski- und Snowboardtour zu den Skigebieten des Iran. Hauptinformationsquelle für Damavand-Wander- und Trekkingtouren. Wandern in der Natur und Wandern im Iran. Veranstalter von Ski- und Snowboardtouren zu den Skigebieten im Iran. The best source for hiking and touring the Damawand. Useful information for mountaineering, nature tourism, Damāvand tourism. 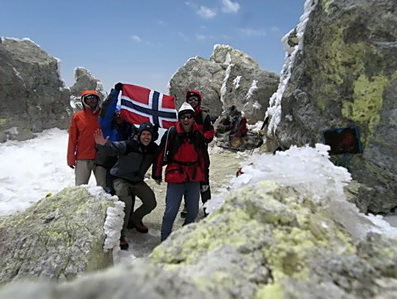 Iranian Climbers Association and Damawand supporters. Walk and climb to the mountains of Alborz, Zagros & Mt Damavend (Dive-Sepid). Supporting teams, groups and people in Mt. Demavend (Qolleh Damāvand) tours. 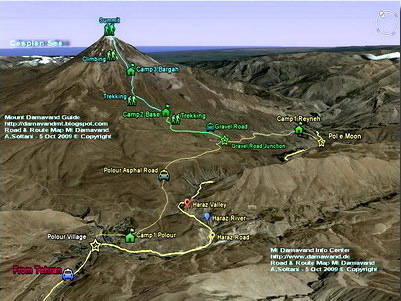 Climb to the summit of Mount Damavand (Qolleh Damāvand) from the south route. Damāvand (Koh e Ghaf) Azad Climbing Group. Crossing the Alborz mountain range from south to north and Caspian Sea. Mountaineering Damāvand mountain(Donbavand) when air is sunny and sunny. Iranian Climbers Association Climbing Federation. Mountaineering clubs and independent climbers. Southern route Mount Dmawand (Demavand) Iran. Walk and trek mountainous Alborz and Zagros. Help and support teams and individuals in mountain tours Koh-e-Ghaf. Mount Damavand lovers and supporters. Crossing the Alborz mountain range and the great mountains. Trek Alborz Mountains from the south to the north and the Caspian Sea. La mejor fuente para practicar senderismo y hacer turismo en Damawand. Información útil para el montañismo, el turismo de naturaleza, el turismo de Damāvand. Asociación de escaladores iraníes y simpatizantes de Damawand. Camine y suba a las montañas de Alborz, Zagros y Mt Damavend (Dive-Sepid). Apoyando equipos, grupos y personas en el monte. Demavend (Qolleh Damāvand) tours. Suba a la cima del monte Damavand (Qolleh Damāvand) desde la ruta sur. Damāvand (Koh e Ghaf) Grupo de escalada de Azad. Cruzando la cordillera de Alborz de sur a norte y el mar Caspio. Montañismo en la montaña Damāvand (Donbavand) cuando el aire es soleado y soleado. Asociación de escaladores iraníes de la Federación de escalada. Clubes de montañismo y escaladores independientes. Ruta del sur Monte Dmawand (Demavand) Irán. Caminata y caminata montañosa alborz y zagros. Ayudar y apoyar a equipos e individuos en tours de montaña en Koh-e-Ghaf. Amantes y simpatizantes del monte Damavand. Cruzando la cordillera de Alborz y las grandes montañas. Recorra las montañas de Alborz de sur a norte y el mar Caspio. Comment faire l'ascension de Damavand. La meilleure source pour faire de la randonnée et visiter le Damawand. Informations utiles pour l'alpinisme, le tourisme de nature, le tourisme de Damavand. Association des alpinistes iraniens et partisans de Damawand. Marchez et montez dans les montagnes d'Alborz, Zagros et Mt Damavend (Dive-Sepid). Soutenir les équipes, les groupes et les gens du mont. Demavend (Qolleh Damāvand) visites. Montez au sommet du mont Damavand (Qolleh Damavand) à partir de la route sud. Damāvand (Koh e Ghaf) Groupe d'escalade Azad. Traverser la chaîne de montagnes Alborz du sud au nord et la mer Caspienne. Alpinisme Montagne Damavand (Donbavand) lorsque l'air est ensoleillé. Clubs d'alpinisme et alpinistes indépendants. Route du Sud Mont Dmawand (Demavand) Iran. Marche et randonnée dans les montagnes Alborz et Zagros. Aidez et soutenez des équipes et des personnes lors de tours de montagne à Koh-e-Ghaf. Amoureux et supporters du mont Damavand. Traversée de la chaîne de montagnes Alborz et des grandes montagnes. Trek Alborz montagnes du sud au nord et la mer Caspienne. La migliore fonte per escursioni e tour in Damawand. Informazioni utili per l'alpinismo, il turismo naturalistico, il turismo di Damāvand. Associazione degli scalatori iraniani e sostenitori di Damawand. Cammina e sali sulle montagne di Alborz, Zagros e Mt Damavend (Dive-Sepid). Supportare squadre, gruppi e persone in Mt. Demavend (Qolleh Damāvand) tour. Salire sulla cima del Monte Damavand (Qolleh Damāvand) dalla rotta sud. Attraversando la catena montuosa di Alborz da sud a nord e il Mar Caspio. Alpinismo montagna Damāvand (Donbavand) quando l'aria è soleggiata e soleggiata. Federazione di arrampicata della Federazione degli scalatori iraniani. Club di alpinismo e scalatori indipendenti. Strada del sud Mount Dmawand (Demavand) Iran. Passeggiata e trekking montuoso Alborz e Zagros. Aiuta e sostieni le squadre e le persone nei tour di montagna Koh-e-Ghaf. Monte Damavand amanti e sostenitori. Attraversando la catena montuosa di Alborz e le grandi montagne. Trek Alborz Mountains da sud a nord e il Mar Caspio. Den beste kilden for fotturer og touring Damawand. Nyttig informasjon for fjellklatring, naturturisme, Damāvand turisme. Gå og klatre til fjellene i Alborz, Zagros og Mt Damavend (Dive-Sepid). Støttende lag, grupper og mennesker i Mt. Demavend (Qolleh Damāvand) turer. Klatre til toppen av Mount Damavand (Qolleh Damāvand) fra sørruten. Damāvand (Koh e Ghaf) Azad Klatring. Krysser Alborz fjellkjeden fra sør til nord og det kaspiske hav. Fjellklatring Damāvand fjell (Donbavand) når luften er sol og sol. Gange og trek fjellrike Alborz og Zagros. Hjelp og supportteam og enkeltpersoner i fjellturer Koh-e-Ghaf. Mount Damavand elskere og støttespillere. Krysser Alborz fjellkjeden og de flotte fjellene. Trek Alborz fjellene fra sør til nord og det kaspiske hav. Лучший источник для походов и гастролей Damawand. Полезная информация для альпинизма, природного туризма, туризма в Дамаванде. Ассоциация альпинистов Ирана и сторонники Damawand. Прогуляйтесь и поднимитесь на горы Альборз, Загрос и Маунт-Дамавенд (Dive-Sepid). Поддерживающие команды, группы и люди в Mt. Демавенд (Колле Дамаванд) туры. Поднимитесь на вершину горы Дамаванд (Колле Дамаванд) с южного маршрута. Дамаванд (Koh e Ghaf) Альпинистская группа Азад. Пересекая Альбурский хребет с юга на север и Каспийское море. Альпинизм Гора Дамаванд (Донбаванд), когда воздух солнечный и солнечный. Альпинистские клубы и самостоятельные альпинисты. Южный маршрут Гора Дмаванд (Демаванд) Иран. Прогулка и поход по горам Альборз и Загрос. Помощь и поддержка команд и отдельных лиц в горных турах Koh-e-Ghaf. Гора Дамаванд, любители и сторонники. Пересечение горного хребта Альборз и великих гор. Трек Альборз Горы с юга на север и Каспийское море.